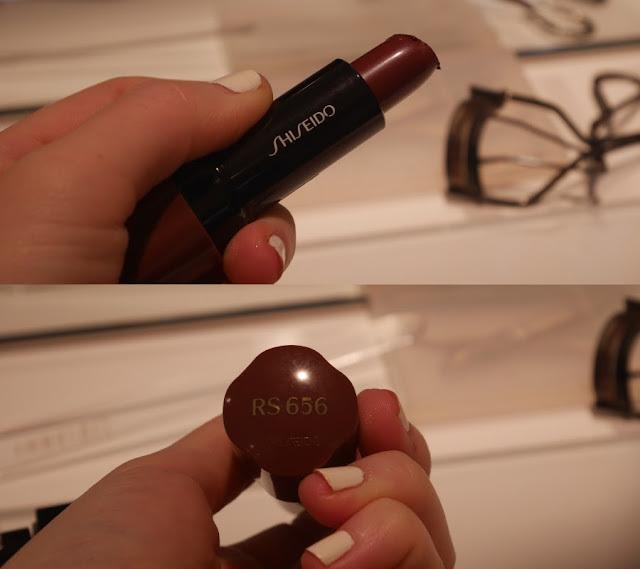 JQ Talks: Shiseido 2015 Autumn/Winter Makeup Collection And Look! Shiseido 2015 Autumn/Winter Makeup Collection And Look! I'm absolutely digging the Fall look. There's something about the Fall season that attracts me. Probably it's a step closer to the holiday season as well as the gradual yet beautiful change in fashion and makeup trends. For Shiseido, 2015 Autumn/Winter is all about the lashes. Getting that deep black voluminous lashes while pairing it with a dark lippie totally screams effortlessly chic! Shiseido introduced 4 news shades for Perfect Rouge line as well as 4 new shades under the Veiled Rouge line. Perfect Rouge gives a rich, silky, full smooth lips as it's infused with moisture to ensure hydrated lips all time. While Veiled Rouge gives a much more mellow and delicate sheen to the lips. It also has a transfer resistant technology that wraps lips in colour and shine, for a beautiful finish that lasts. Empress is a grand and dramatic plum colour. It's deep and complex. These cream shadows are gorgeous. They are dewy-textured that accents your eyes with shimmering light. Absolutely vivid and long lasting on the lids. It comes in 5 beautiful Fall-ish shades. The magic wand that every woman should have in their makeup bag. Mascara makes a huge difference to your eyes, it opens them up and boost confidence in you. This time around, the new Full Lash Volume Mascara offers total full volume with a deep black formula that's also resilient and separates the lashes appropriately. Personally, I do love the mascara because the formula is not as heavy as other volumizing mascara, thus it keeps my lashes up without the need for me to keep curling them. 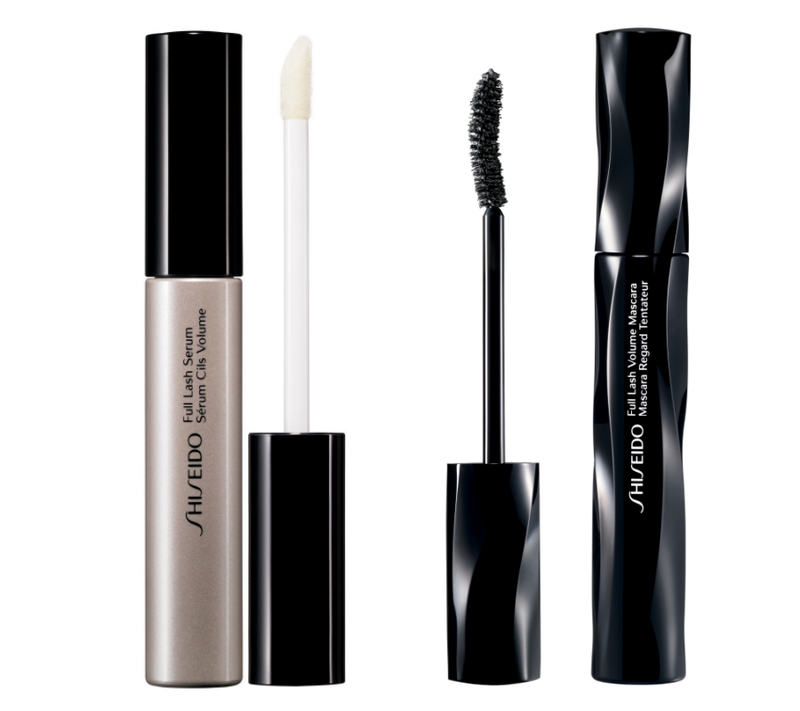 In addition to the whole rah-rah lash, Shiseido also introduced the Full Lash Serum to help enhance lash growth as well as protects lashes from damage. I can testify to the amount of times my lashes fall during makeup removal, even when I've tried my very best to be gentle with them. However, you will need to know that it's actually normal as long as it doesn't fall excessively. The thing with lashes is that it has its own growth timeframe. According to Shiseido's research the life cycle of our lashes is extremely short - 4 months. The growth phase is about 39 days. However, the length of the eyelashes are highly dependent on their growth rate. With the help of the Full Lash Serum, it will not only help to speed the growing process but also to protect and nurture them for a fuller and denser lash look. Besides that, it can also be use on your brows too! Though, it's advisable apply the lashes first - start with the roots and then all over the lashes - before applying them on the brows. 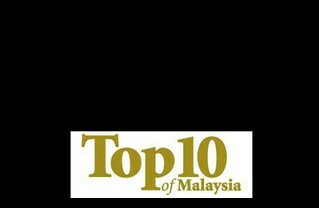 For more information, visit Shiseido Malaysia Facebook page.